Here in the northeast things are finally warming up, and for the third year in a row at PRA that means it’s time to plant our garden! In a narrow strip of land bordering our parking lot, employees take part in this worthwhile project, good for both body and soul. This year we have big plans for our most productive garden ever, and it all starts with soil preparation. We’ll be boosting the soil in each of our four raised beds with a healthy dose of organic compost. After amending our soil we’ll be planting a variety of veggies, fruits, and flowers – some from seed, some from nursery-grown or field-grown transplants. With careful monitoring, we’ll nurture our plants by watering, weeding, and mulching throughout the spring and summer to encourage the healthiest, most productive results. Who among us can resist a warm, sun-ripened tomato, or shelling and eating raw peas right off the vine? How about some fragrant basil to go with that summer recipe, or a handful of fresh kale? We all know the benefits of eating a range of vegetables every day, not to mention the exercise, sunshine, and fresh air gardeners enjoy. 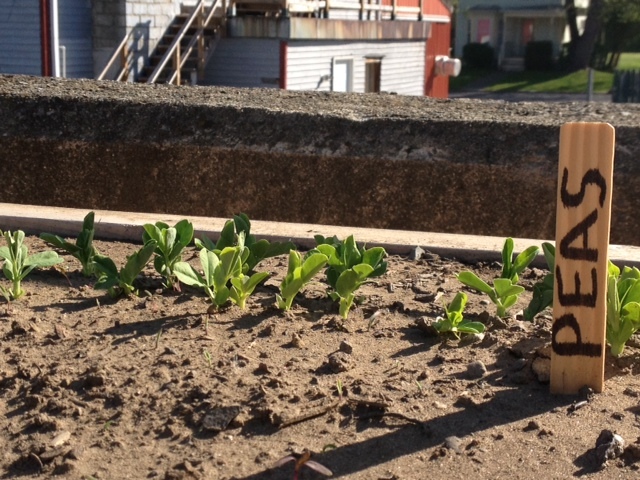 The PRA garden is one small step toward healthier living for all who take part. It is said that, “To plant a garden is to believe in the future,” but every year when I return to the garden I feel a strong connection to the past, as my thoughts drift to the generations of gardeners who have grown and tended and harvested countless varieties in diverse lands and under a myriad of conditions and circumstances across the centuries. Whether you take part in a community garden like PRA’s, or have a sunny window herb garden, a bed of flowers along your walkway, a potted tomato plant on your deck or a full field of vegetable varieties, I encourage everyone to reap the benefits of gardening this spring and summer – for both body and soul.